A newly discovered grasshopper by UCF scientists now bears the name of Grammy-award winning singer and activist Ana Lila Downs Sanchez. The scientists named the new species discovered on the side of a mountain road near Oaxaca, Mexico, after the Mexican-American singer as a nod to her efforts to preserve indigenous culture and penchant for wearing colorful, local costumes as part of her performances. The grasshopper measures about an inch long on average and resembles a fiery rainbow with blue, red, yellow, orange and black markings. 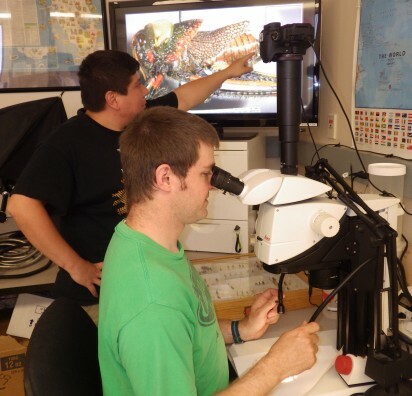 The first pictures of the new species make their debut in an article in this month’s Zootaxa journal. Woller, Fontana, Ricardo Mariño-Pérez and Hojun Song are the authors of the paper. Woller is a Ph.D. candidate and Mariño-Pérez is a Ph.D. student in Biology Professor Song’s lab while Fontana is a researcher at the Edmund Mach Foundation in Pergine Valsugana, Italy. 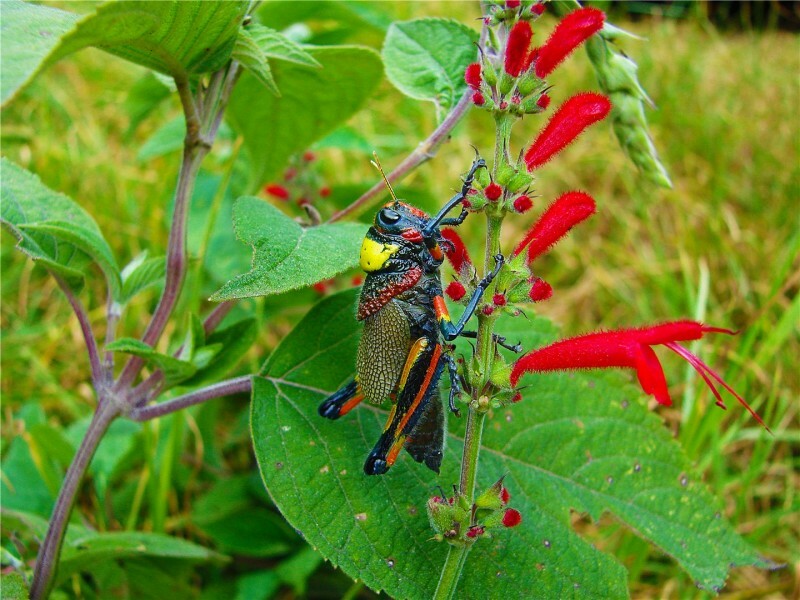 The men were doing fieldwork for another grasshopper study in a pine-oak forest of the Sierra Madre del Sur Mountain Range in Oaxaca, Mexico, when they came across their discovery in 2011. “We were surprised that a grasshopper of that size and found next to the road wasn’t discovered before,” Mariño-Pérez said. The team did some research, returned again in 2013 to see if they could find more grasshoppers and then submitted their work to the journal after confirming three known small populations of the creatures. There are about 9,700 known species of grasshoppers in the world. UCF houses many examples in its Bug Closet, which now also contains the Lila Downs friar grasshopper. Locals called the creature the friar grasshopper because its head looks a bit like what a monk with his hood pulled back might look like. In Spanish “fraile” means friar. That’s why the full scientific name of the grasshopper is Liladownsia fraile. For the UCF team, it was important to recognize Mexico in naming the species. Downs is known for her contributions to the music industry through her traditional fashion, which is primarily based on Mexico’s indigenous communities, cultures and heritages. Her music has earned her a Grammy Award and two Latin Grammy Awards. She’s active with various humanitarian causes especially those related to Latin America’s indigenous communities. But most young music fans may recognize her because she was a featured artist on Carlos Santana’s “Corazon” album with Gloria Estefan, Ziggy Marley, Wayne Shorter and others released earlier this year. The team’s journal article includes a paragraph giving Lila Downs kudos for her work. Mariño-Pérez said the discovery of the grasshopper is an important reminder to all of us to be mindful of the way we use our planet. 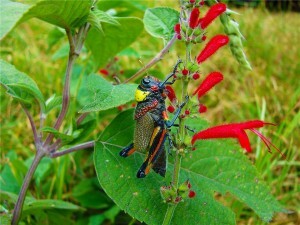 To assist in supporting the conservation cause, this unique grasshopper species has been placed on the International Union for Conservation of Nature’s new Red List of threatened species.